Summer has come and gone but the effects of the hot, scorching weather can be long-lasting. If you spent time at the beach or pool this summer, you may have exposed your skin to the sun’s harmful UV rays. 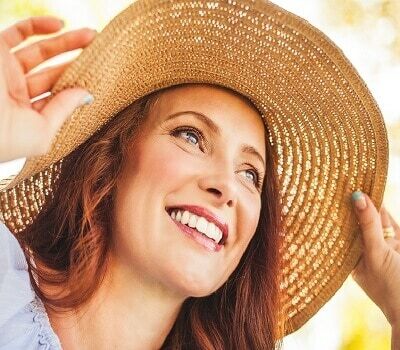 Overexposure to the sun can speed up the skin’s aging process, resulting in noticeable wrinkles, fine lines, age spots, skin discoloration, and dryness, as well as an overall dull appearance. Fortunately, there are a number of skin treatments available to remedy the damaging effects of the sun’s UV rays. Chicago plastic surgeon Dr. Mohammed Alghoul is the trusted choice for patients who wish to refresh and repair their skin from sun damage. In this blog post, Dr. Alghoul offers his recommendations on the best professional skin care treatments. A chemical peel is a quick and effective option to refresh the skin. This exfoliative treatment involves applying a chemical solution (customized to the patient’s skin type, tone and needs) to the face, which will cause the dead cells on the outer layers of skin to slough off and reveal healthier and younger skin. Chemical peels vary in strength, and Dr. Alghoul can modify yours to match your skin type and needs. Fractionated laser treatments can be used for a variety of purposes, including repairing sun damage. Fractionated lasers work by delivering thousands of microscopic laser light columns into the deep layers of the skin, triggering the body’s production of new and healthy skin cells. Laser treatments can be used to tighten and firm loose skin, minimizing the appearance of wrinkles and fine lines. They can also be used to correct scars, uneven skin tone and hyperpigmentation. To find out which of these skin treatments is right for you, schedule a personal consultation with Dr. Alghoul. Known for his meticulous and compassionate approach, Dr. Alghoul treats each patient with their unique skin needs and goals in mind. The trusted doctor can design an appropriate treatment plan following a comprehensive evaluation of your skin type and specific concerns. ← Can Eyelid Surgery be Covered by Insurance?